YUKICOTOCO makes out-of-the-box songs with Autoharp and looping machine. YUKICOTOCO performs live in mainly Tokyo,Yokohama or neighborhood. YUKICOTOCO makes original CD and goods. You can buy it in her live. If you’d like to order it, please contact me. YUKICOTOCO teachs autoharp. Beginners also available. 2013　ライブ活動スタート Beginning live performance. 2015/12/24　第1回ワンマンライブ「マッチ売りの元少女」 “The Former Little Match Girl”,1st solo live. 2016/03/13　第2回ワンマンライブ「マッチ売りの元少女・再演」 “The Former Little Match Girl” returns,2nd solo live. 2016/11/19～20　2016静岡オートハープ・ギャザリング参加　2016 Shizuoka Autoharp Gathering participated. 2017/08/02～10　イタリア演奏 Playing in Italy. 2017/11/11～12　2017静岡オートハープ・ギャザリング参加　2017 Shizuoka Autoharp Gathering participated. 2017/12/13　専門学校HAL東京様にてゲスト講師 Guest lecturer in HAL Tokyo. 2018/06/22～23　アメリカのオートハープ大会28th Mountain Laurel Autoharp Gathering参加　28th Mountain Laurel Autoharp Gathering(in U.S.A.) participated. 2018/11/10～11　2018静岡オートハープ・ギャザリング参加　2018 Shizuoka Autoharp Gathering participated. 2018/12/23　西武新宿駅前ユニカビジョンにて1分間CMを1日限定で放映　Put 1 minute CM on Yunica Vision at Shinjuku, Tokyo, Japan. 2019/01/04~02/03　デザインフェスタギャラリー原宿にて10分間PVを放映　Put 1 minute CM on screen at Design Festa Gallery, Harajuku, Tokyo, Japan. 2019/01/30　日本テレビ系列「ヒルナンデス！」出演　appear on japanese TV show, “hirunandesu!”, broadcast on Nippon Television Network Corporation. 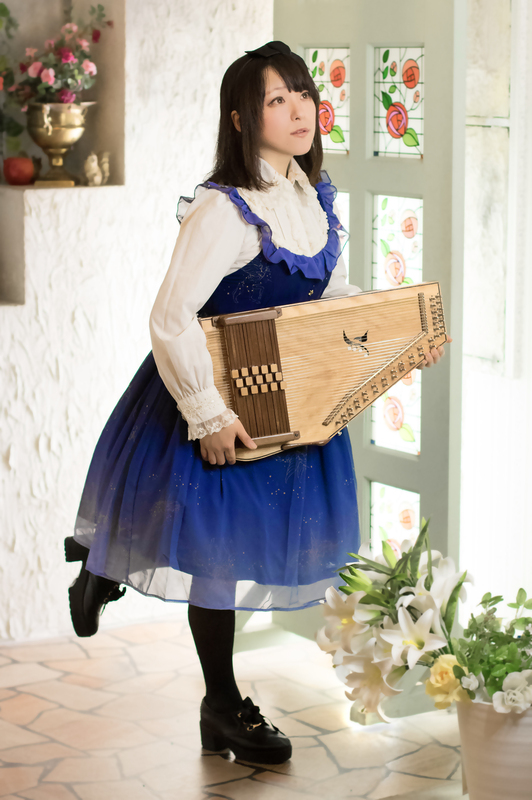 2019/02/02　第3回ワンマンライブ「Autoharp Fantasia 夜の国のアリス」 “Autoharp Fantasia Alice in Nightland”,3rd solo live. 2019/03/12　専門学校HAL東京様にてゲスト講師 Guest lecturer in HAL Tokyo. 2019/03/19　専門学校HAL東京ミュージック学科ライブにゲスト出演 Guest performance in Live of HAL Tokyo Music Course.